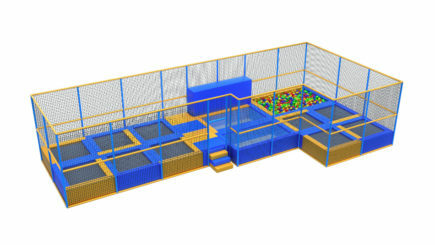 Corner trampoline park is designed for corner room. 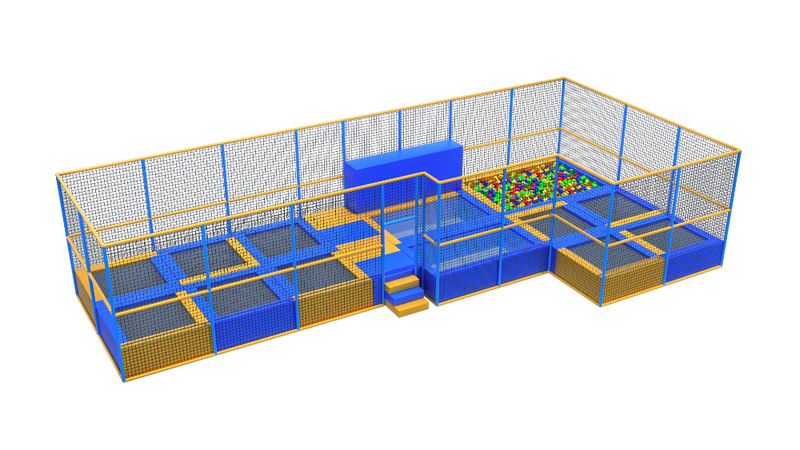 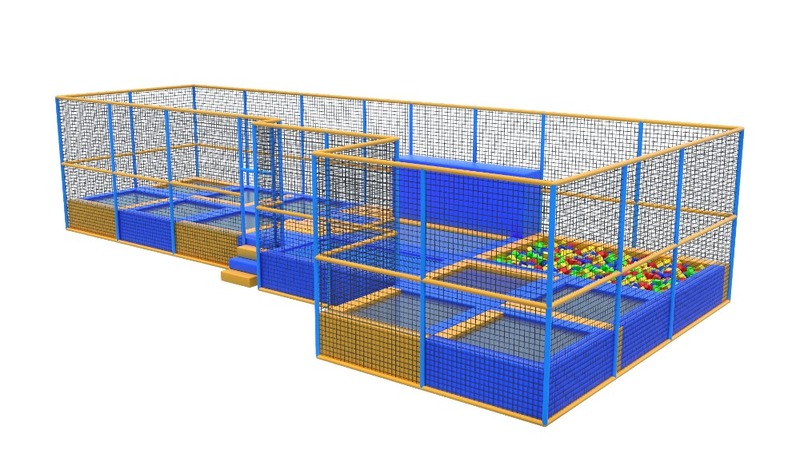 Made of commercial trampolines, trampoline sports section and a foam pit in the corner of the area. 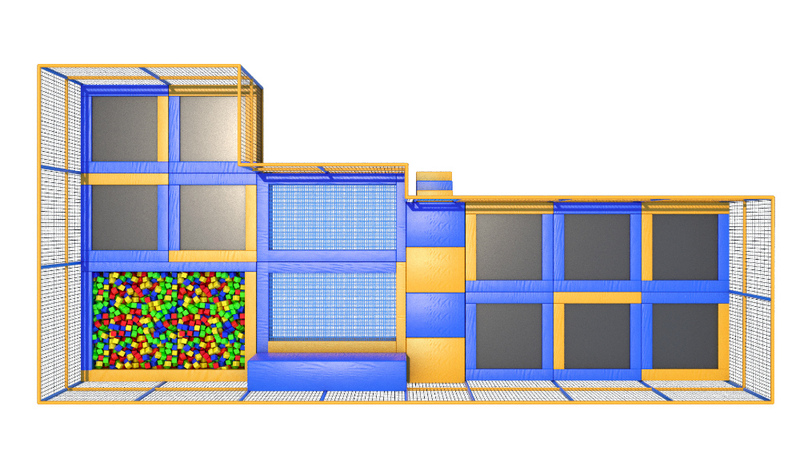 The project is an excellent solution to use the territory of different configurations.